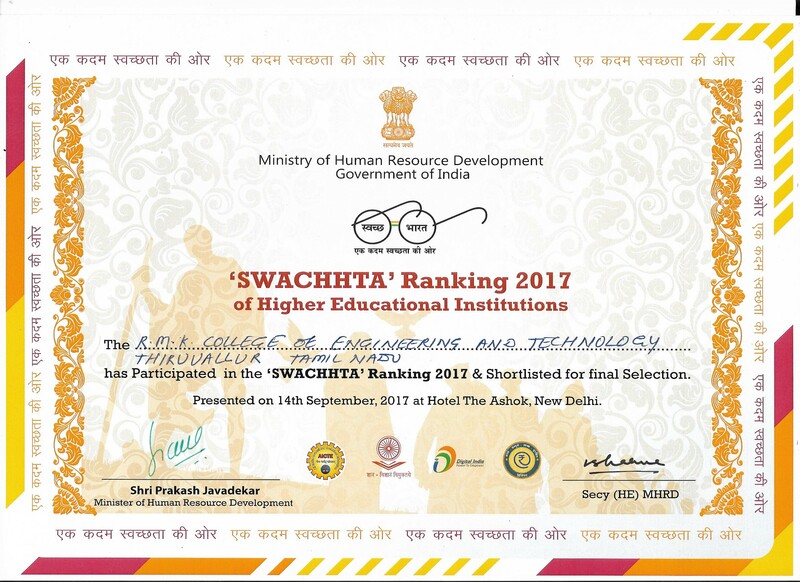 Ranked No.1 among the Top 20 Engineering Colleges in India for Excellent Industry Exposure by Higher Education Review Survey. Ranked 29th among Top 100 Private Engineering Colleges in India by Higher Education Review Survey. Ranked 16th among the Top 20 Engineering Colleges in India for Placement Category by Higher Education Review Survey. Ranked 4th among the Top 20 Engineering Colleges in India for Emerging Category by Higher Education Review Survey. 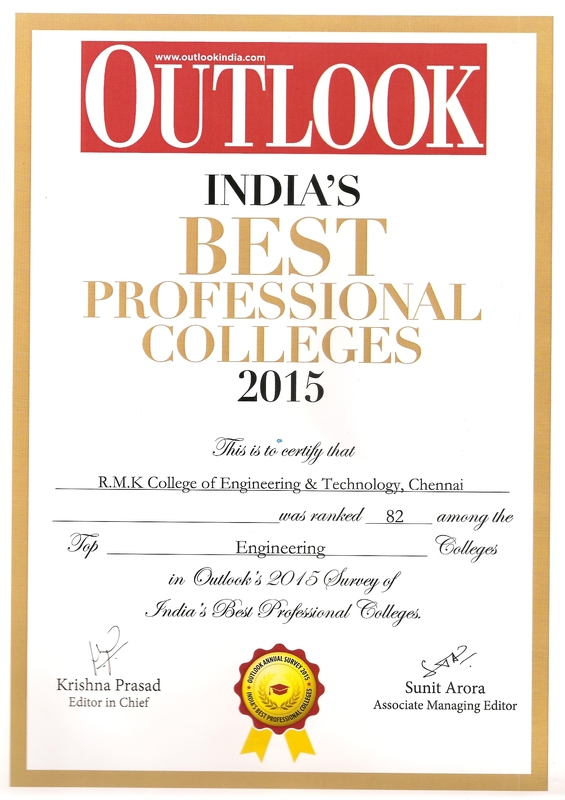 Ranked 82nd among the Top Engineering Colleges in Outlook's Survey of India's Best Professional Colleges. ISTE - Bharatiya Vidya Bhavan National Award for the Best Engineering College having Best Overall Performance for the year 2015.